Matriarch of fine literature Kate Chopin unfailingly delivers psychologically complex characters and stunningly visceral environments. Set in an upper-crust section of Louisiana towards the end of the 19th Century, The Awakening is meant to be performed. Award-winning actress Kim Basinger employs a crystalline tone when narrating this insightful and irony-rich work of fiction. Her voice is nimble enough to allow for dead-on mimicry of characters ranging from parrot to Frenchmen. Protagonist Edna Pontellier struggles to overcome feminine stereotype in a society that is determined to thwart her freedom. Rebelling against her cruel husband, Edna dallies with a young man of rakish character. Basinger’s taut voice enables listeners to hover with Edna between want and denial. Basinger’s cerebral yet poignant performance illuminates this profound novel. Kate Chopin’s novel, a landmark work of early feminism, is seen as a pre-cursor to the works of American novelists such as William Faulkner and Ernest Hemingway. The upper-class Creole society of New Orleans and the Southern Louisiana coast at the end of the 19th century is brought to audio in a stirring performance by Academy Award-winning actress Kim Basinger. Edna Pontellier, vacationing for the summer with her family on Grand Isle, has a great desire to find and live fully within her true self. However, her struggle to reconcile her unorthodox views on femininity and motherhood with the prevailing social attitudes of the turn-of-the-century South brings the story to a tragic conclusion. The Awakening’s blend of realistic narrative, incisive social commentary, and psychological complexity is the first in a tradition that would culminate in the modern masterpieces of Flannery O’Connor, Eudora Welty, and Tennessee Williams. 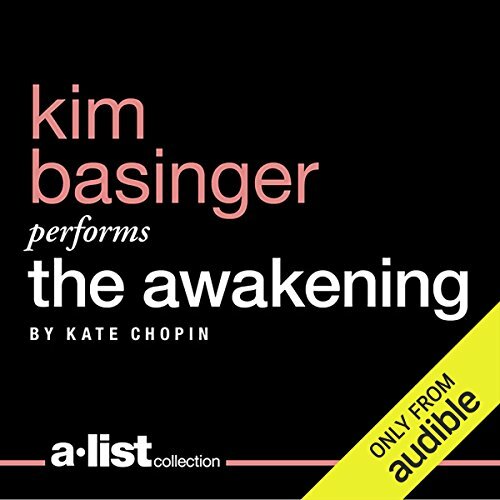 The Awakening is part of Audible's A-List Collection, featuring the world’s most celebrated actors narrating distinguished works of literature that each star had a hand in selecting. For more great books performed by Hollywood's finest, click here. Would you consider the audio edition of The Awakening to be better than the print version? 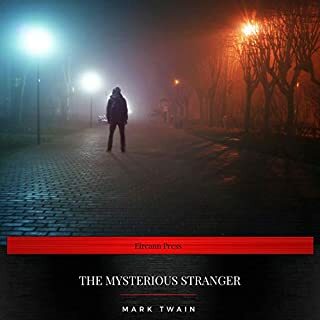 The tension in the story along with the description make this a book that is best as an audiobook. Have you listened to any of Kim Basinger’s other performances before? How does this one compare? Her performance in The Awakening proves that Basinger can bring that taught tension we have come to recognise in her movie performances to audio books. I couldn't wait to have the time to complete this book. It felt like Basinger was in the room telling me the story, and it was a rare treat to be able to picture her as the narrator of the story. 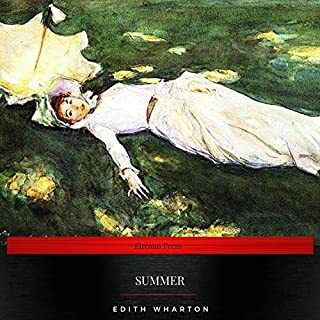 Published in 1899, The Awakening is a much over-looked novel by Kate Chopin, panned in her life time an dubbed "vulgar" undoubtedly because it was a novel ahead of its time. The story of a married woman opening up to life in spite of her husband's neglect and verbal abuse, The Awakening explores the murky space between loyalty and infidelity as the protagonist enjoys the company of a flirty, questionable young man who makes a habit of sweeping married women off their feet. Kim Basinger delivers a riveting performance, interpreting each character's voice with careful consideration. She captures the sultry mood of this rare story that juxtaposes snippets of beautiful description with mouth-clenching tension. Basinger captures the author's sympathy with Edna Pellier and the playfulness of Robert, who speaks in French. She delivers an impeccable performance even capturing the squawking parrot and the French-speaking characters with grace and dignity. The Awakening, narrated by Kim Basinger is a bargain and a treasure. Better to sleep in peace than awake to nightmare? A question to ponder. The better question is how does one live with joy and gratitude after being awakened to new emotions, feelings and passions after years of commitment, loyalty and love to another? An awakening at some time in life (if even for fleeting moments) is a likelihood. The questions of 'what-if..." and 'why now....' will probably follow. A person's reaction will define his/her character as will his/her course after a weakness is revealed. Edna Pontellier was a selfish woman from her awakening forward. I detested her, thought she was a blubbering baby much of the time and I found it hard to feel sorry for her because of how immature she acted. Had she been more sympathetic I might have felt more pity for her situation of being stuck with a man she did not love. Published 43 years after "Madame Bovary" (1856) "Awakening" (1899) is a lesser version but very similar. The Awakening is, of course, set in the US, specifically in south Louisiana. The French names are similar. 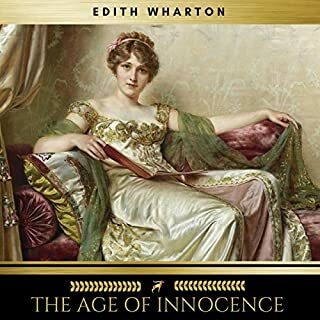 The affairs are similar, but the later novel is not so much steamy and seems more aimed at the female's point of view in the late 1800s toward sexual repression in a place that was undoubtedly more chauvinistic and backwards than France in the mid-1800s. I enjoyed the book for a view of life during that period and the raw emotions exposed to the salty air. I know this is frequently used (or always) in feminist studies in academia, so I've always wanted to read this, if for nothing else, to broaden my horizons. Kim Basinger as narrator did an absolutely impeccable job with the tone, accent and acting the part of Edna Pontellier. I wish she'd do more narrating work on classic novels; she has such a melodic, soft Southern voice. I've never written a review before, but I just had to say that this reading by Kim Basinger is really disappointing. She has a tin ear for Chopin's prose with all its suble ironic subordination. Ms. Basinger can't seem to read more than three or four words..at a time..and...by the end of the novel...her halting reading style...drove me nuts. But even her quasi-literate reading couldn't quite kill Chopin's strong writing. Buy this novel, but not this version. Probably if Kim Basinger wasn't narrating. Listening to her was like sticking a rusty fork in my eye! Has The Awakening turned you off from other books in this genre? No, it just continues to turn me off from Hollywood "actors" thinking that their skill set makes them into good book narrators. Would you be willing to try another one of Kim Basinger’s performances? What character would you cut from The Awakening? As I've said a kazillion times before, I don't know why Audible thinks having actors narrate books will make the listening experience better. IT DOES NOT!!! I've wasted money listening to Elliott Gould ruin a Raymond Chandler classic and Samuel L. Jackson fumble a book written by a black author about black people in Harlem. The only A-List actor who has ever really impressed me as a narrator is Don Cheadle. Everyone else should just stay in Malibu or Manhattan or wherever their movie money allows them to live and leave audiobooks to the professional narrators. Kim Basinger reads this already boring story as if she reading a bedtime story to a 2 year-old. I fell asleep about 30 minutes in and I suffer from chronic insomnia! On top of that, I bought the book because it's supposed to be about Louisiana Créoles. Yet, Basinger can't speak French properly nor does she give the characters any depth because she doesn't know the Louisiana dialect or customs. She can barely get through the ENGLISH parts, stumbling and bumbling through sentences as if English is her second language. I'm glad I only paid about $1.99 for this mess in the Daily Deal. But I still may return it for my $2.00. At least I can buy a beignet on Canal Street with the money! Don't waste your time or your money on this one! Kim’s narration was so monotone and stilted I couldn’t get beyond the first chapter without repeatedly falling asleep. I tried in a valiant attempt to re engage several times but her performance, or lack there of, was too much of a hurdle. Grateful it was a daily deal and not much money spent. Perhaps I’ll try physically reading the book in the future. 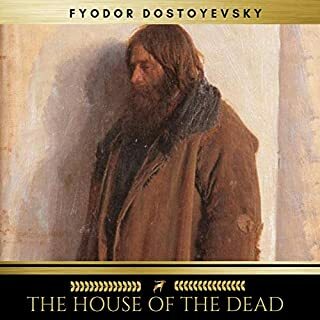 Although I don't recommend it as an entertaining read or listen, this is a very interesting book, first published in 1898. It's considered a forerunner of feminism and modern American literature from the south, with influences on Faulkner, McCullers, O'Connor, and others. It took me nearly two thirds of the book to get into it or to just plain get it. After that, the denouement was fairly quick. 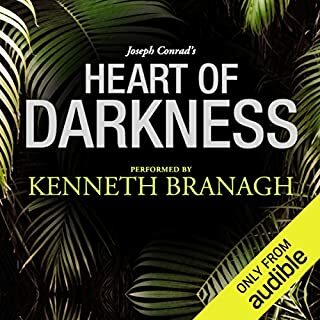 I purchased the book as a Daily Deal from Audible.com and had high hopes for the narration by Kim Bassinger, but was SORELY disappointed. The reading is just about the worst of any of the books I've listened to since I enrolled in audible.com. It sounded to me like Ms. Bassinger had put no preparation into her performance. 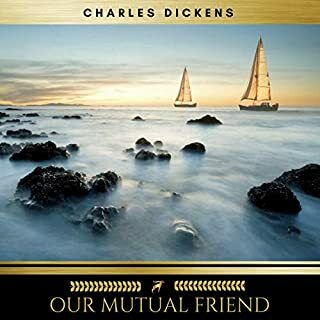 There was no attempt to distinguish among the characters, no use of the accents which would have been prominent among the high-society, working class, and Creole characters. She read in a halting, breathy whisper through most of the book, whether it suited the situation or not. Up until now, the worst narration (in my opinion and experience) was the choice of reader for the Hunger Games books, but that was because the reader sounded like a middle-aged English teacher rather than a teenage girl with issues. In this case, Ms. Bassinger, who certainly has the ability to deliver a stunning performance narration, chose to do nothing at all to enhance the listener's experience. I'm glad that I re read this (previously read this in high school). It makes so much more sense now, as an adult, as a mother. I expected more from Kim basinger as the narrator...kind of flat in her delivery. But overall good, quick read. In the end, I grew accustomed to Kim Basinger's odd way of reading, her funny way of pausing midway through a sentence at an unlikely spot as if she had forgotten what she was in the middle of doing. This book is so lovely, though, that I often wished for a better, more sensitive and more dynamic reader. Listening to a book usually makes the experience more enjoyable, better. Not in this case. Unlike some of the other books read by actors (Ethan Hawk, Slaughterhouse Five or Colin Firth, The End of the Affair, both excellent) Kim Basinger does a lousy job. She puts nothing into it. She reads each word as if it is the first time she has read it. I feel that the narrators, the goods ones anyway, have prepared themselves before hand. Likely reading the book at least once through. I got the impression that Ms Basinger was reading it for time.It shouldn't be a surprise that she does so poorly. She really isn't a quality actor to begin with. I have no idea if the story is any good. I will not finish it. To be fair, this book is not really one I would like. It was a daily deal so I thought why not. I would have forgone rating the story (rating only the narration) but Audible forces one to set ratings for all catagories before the review can be written. I do not like stories where childen are ignored and that encourage adultery, promote suicide and are depressing.